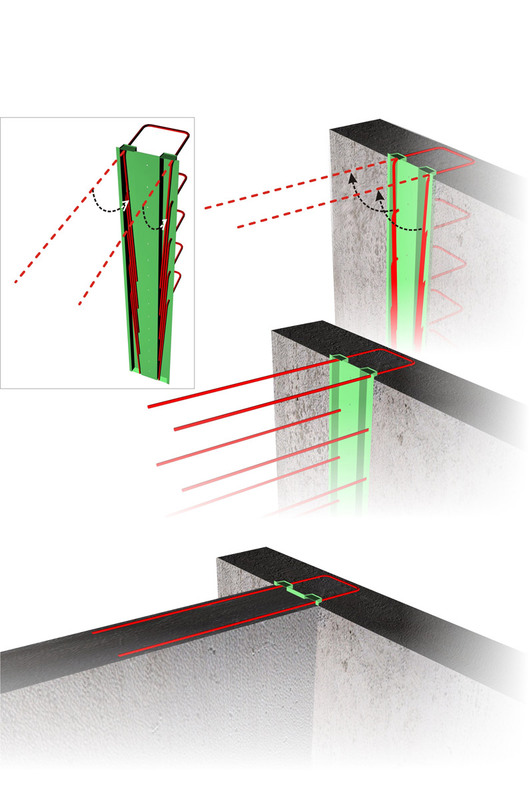 The need to construct co-linear or vertical shear walls in different phases arises quite often. Most of the times the starter bars are placed in the traditional way i.e. by extending the horizon-tal rebars of the first shear wall towards the direction of the shear wall that will be constructed in a following phase. (c) after the formworks removal, the starter bars are once again centerlined. If the encase box is an impromptu construction, it is removed. This technique is used either for vertical or collinear shear walls. It is ideal when constructing a partial foundation by an excavating and concrete pouring sequence. This is used when there is danger for the adjacent building. We excavate a part of the common edge and we concrete the shear wall and its foundation. Then we excavate the next part and so on.